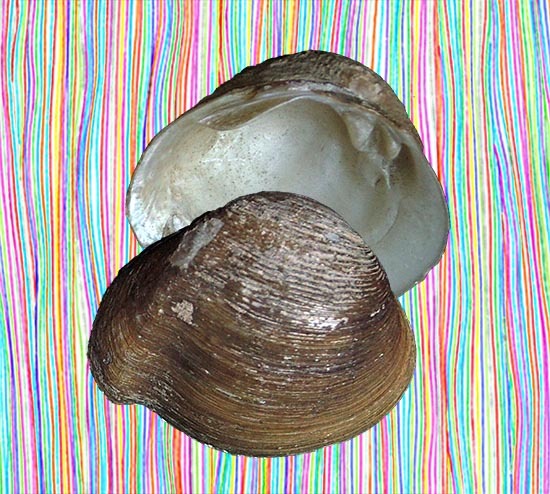 The April 2019 Mussel of the Month is Pachynaias spheniopsis. Pachynaias is a genus of only two species endemic to Central America. MNHN IM-2000-1791.Rio Usumacinta, Guatemala (type). Pachynaias spheniopsis is from Central America, and if you are a frequent reader of the Mussel of the Month, you know it is our longstanding beef that we don’t have much to say about those mussels (e.g., Nephronaias, Martensnaias, Sphenonaias, Micronaias, Arotonaias, Barynaias, Friersonia). Those genera apparently exist because there are shells in drawers labeled as species assigned to them (Frierson, 1927; Haas, 1969). That streak of nearly total ignorance ends this month! Pfeiffer et al. (2019) have published the first phylogeny with multiple Central American mussel genera, and they have advanced our knowledge quite a bit. The two results we will focus on here are that 1) Pachynaias is a Central American lampsiline and 2) Psorula and Psoronaias are molecularly indistinguishable. That Pachynaias is classified under the Tribe LAMPSILINI is not a tremendous mind-blow. It has been arranged there for about as long as we have known there was such a thing as lampsilines (e.g., Haas, 1929; Thiele, 1934). And, based on brooding morphology, we have known that the Lampsilini is represented in Central America (e.g., Actinonaias, Disconaias). Pfeiffer et al. (2019) used DNA sequence analyses to show that, in fact, there were multiple lampsiline lineages south of the Rio Grande. In addition to Pachynaias and other Central American lampsilines, Pfeiffer et al. (2019) included one species of Psoronaias and multiple species of Psorula from that part of the Neotropics, spanning the range of conchological variation found in those taxa. What they found is that all that morphological variation among those mussels is unrelated to nucleotide variation — it was all just one shallow clade looking more like a population than a genus of multiple species. As such, we have collapsed those two genera on our list, with Psoronaias Fischer & Crosse, 1894 having priority. The formal lumping of species should come with additional study. Moreover, the Psoronaias clade grouped with Popenaias in a lineage distinct from the other amblemine tribes we know from North America. For this clade, they proposed resurrecting the name POPENAIADINI Heard & Guckert, 1970. These results were part of one chapter in John Pfeiffer’s Ph.D. dissertation. Last month, he successfully defended the work he has scienced at the University of Florida since finishing his M.Sc. at the University of Alabama. Congratulations John on a job well done! It is nice to have stories of a “Florida man” that don’t end in wacky misfortune. Pfeiffer, J.M., C.L. Atkinson, A.E. Sharpe, K.A. Capps, K.F. Emery & L.M. Page. 2019. Phylogeny of Mesoamerican freshwater mussels and a revised tribe-level classification of the Ambleminae. Zoologica Scripta 48: 106-117. Thiele, J. 1934. Handbuch der systematischen Weichtierkunde. Teil 3. Scapopoda; Bivalvia; Cephalopoda. Additions and corrections for Teile 1-2 and Index for Tiel 3. 3:779-1022.